With more than 30 years of experience as a Master Bench Jeweler, John works in the tradition of the old world craftsmen, who taught him the secrets which have been passed on through the generations. His eye for style and beauty is second to none, as can be seen when designing and creating that unique custom jewelry for you. If you have been searching for that perfect jewelry item that you just can’t seem to find anywhere, discuss it with John. He will create it specifically for you, to meet your most exacting specifications. 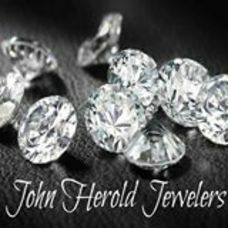 John Herold Jewelers boasts an 800 square foot showroom featuring a full line of products from Charriol, Michele, Scott Kay, Honora, and others, as well as custom made jewelry.